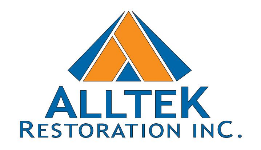 Restoration | Alltek Restoration, Inc.
Post loss conditions of a structure can be minor to severe predicated on the type of loss and its severity. Both small and large losses will require trained professionals to perform mitigation & restoration services pertinent to the specific loss, followed by reconstruction to return the property to pre-loss condition. It is imperative that your loss is assessed and the initial restoration efforts are performed correctly preventing further damage or distress to the property and structure. Reconstruction is a very critical part in the process of restoring your property back to pre-loss condition. All our workers are trained, properly equipped and supervised by certified staff while handling all restoration & reconstruction projects. We produce high efficiency, quality work accompanied with superior customer service. We specialize in insurance restoration & reconstruction for damages resulting from Fire, Water, Smoke, Storm, Vandalism and Vehicle impact. Fire losses are often the most complex, after a structure or property has suffered fire damages they typically are accompanied by smoke and water damage. Smoke damage occurs as a direct result from the combustibles being burned and the water damages are a result from the excessive amount of water to extinguish the fire. The combination of these three can leave a property and structure severely distressed and damaged. There are two large certifying bodies, the IICRC and the RIA, that recommend standards of care. Most companies in the restoration industry use the IICRC procedural standard, which is known as the S500. The S500 indicates the standards and techniques related to the current technology and proven service required to perform water restoration. Smoke damage to a home and the restoration and remediation efforts used to properly restore structural or property are predicated and based on the type of combustibles that have produced the smoke and severity of the damage. Having a restoration professional performing the smoke damage remediation using the industries techniques and supplies will ensure the highest quality or removal of stain and odor removal. Structures or property damaged by rain, wind, hail, or the combination of any fall into this category. Storm damages often result in roofing components being compromised which could result in water intrusions resulting in interior damage. Strong winds can cause structural components to fail and long rains resulting in super saturated soils can also cause water intrusion.